On Friday night Liam and I were treated to a rare date night: dinner in a beautiful local pub and restaurant just a stones throw from our home and the wonderful Bedford Park (which is my happy place!) 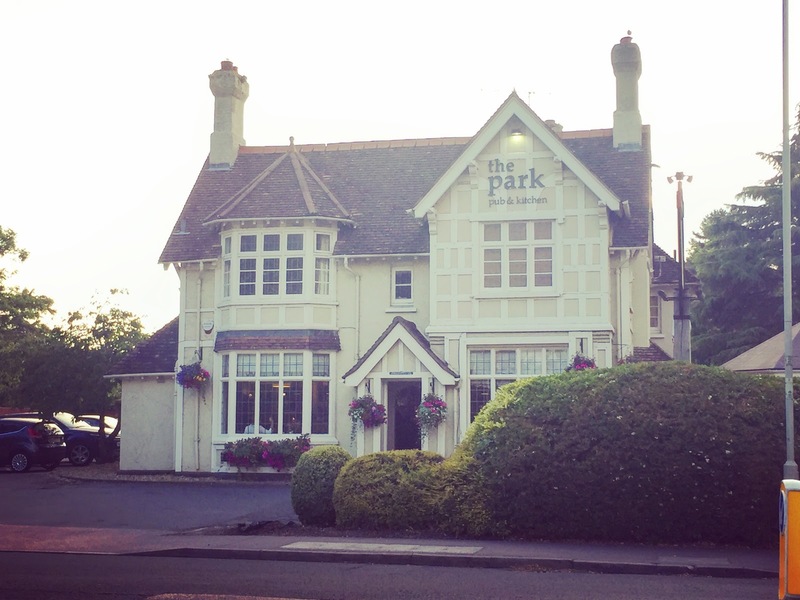 The Park Pub & Kitchen is owned by the Little Gem group and is based on Kimbolton Road in Bedford. This 'Little Gem' (literally) just won Bedfordshire Food and Drink Awards 'Pub of the Year 2017' category - so you can imagine how thrilled we were to be invited to dine there. 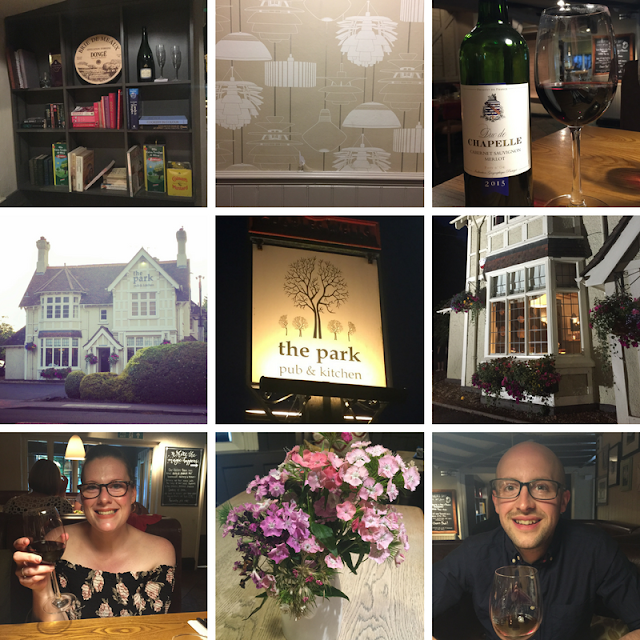 I've been going to The Park since I moved to Bedford when I was just 18 years old - it has always been a really lovely pub & restaurant with an emphasis on great food in a relaxed, country pub atmosphere. The beautiful exterior has caught my eye since those first experiences 12 years go - I especially love it in summer with its brimming hanging baskets, and wonderful courtyard garden. The interior is full of beamed ceilings, large flagstone floors, fireplaces and a colour scheme that Farrow and Ball would be proud of. Everything about the interior appeals to me - much like my own home it is very shabby chic/country kitchen in style, with loads of interesting bits and pieces dotted around to look at, beautiful mismatched chunky furniture, awesome statement/feature wallpaper and fresh flowers in abundance. There is also a wonderful relaxed conservatory and garden room which are the perfect dining spots in summer, as well as cosy armchairs and little nooks by the fireplaces to warm yourself during winter. The Park also boasts private hire areas for functions suitable for anything from 30-120 people - genuinely catering for all your needs. Amazingly, The Park serves Breakfast (Thur-Sun), Lunch and Dinner as well as having a special Sunday Menu too! You couldn't ask for much more. Check out their menu page for more details. 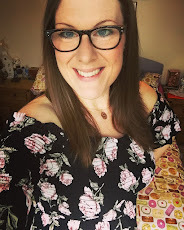 I've visited the pub many times over the years - for drinks and study sessions when I was at university, for lunches and dinners with girlfriends in my twenties, and more recently lovely brunches and lunches with Liam. The only sitting I hadn't tried was dinner, so it was time to rectify that! Liam has eaten there with his work colleagues on a number of occasions over the past few years for Christmas celebrations and summer team building and he's always been so impressed with the food, service and atmosphere - so we were thrilled to be able to go together on Friday to check out their summer evening menu and enjoy some much needed "us time" away from Mummy and Daddy duties. 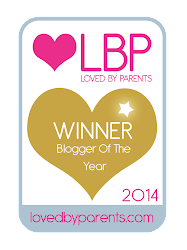 We arrived 10 minutes late to our 8pm booking (how are we STILL late even without the kids? Ha!) but it didn't phase the staff members at all, they showed us instantly to our lovely booth table which was waiting for us. Within a few minutes we had been given menus, ice cold water (it was a very hot evening) and our very polite and happy waitress had taken our food order. One of my favourite things about eating out with Liam is studying the menu together - we are both big foodies - and so we get really excited to see what options are available to us. We then carefully select courses that interest or excite us. 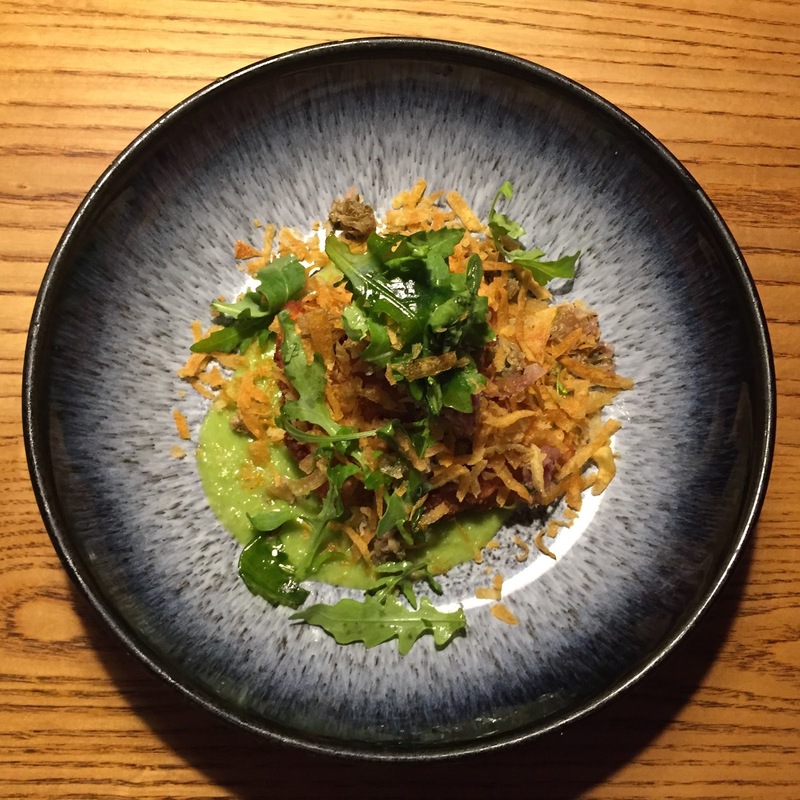 On the whole we try not to order the same courses as each other, as we like the variety of being able to taste as many courses on the menu as possible - we're good at sharing so we always let each other try each other's dishes. The menu was fabulous - it's not often I'm stuck choosing between dishes on each course - usually there's one standout dish I think I'd like to try and then one comfort-food dish that is a safe option, and I have to choose between the two - but it was a struggle with this lovely menu to know what to pick, there was honestly 3-4 dishes for each course that I could have happily chosen. There was a clear emphasis on fresh, local produce (which always reassures me that it is going to be a good eat) and I always enjoy a menu more when it is seasonal. There's just something about knowing that you'll be eating fresh, of the season, local produce - it's the best! STARTER: Cod cheek scampi with potato crisps, pea veloute & tartare salsa. 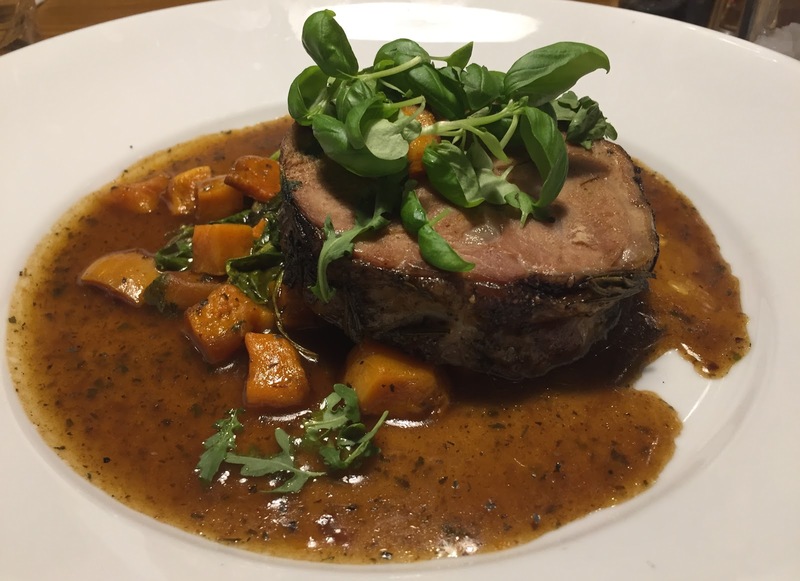 MAIN COURSE: Slow-braised lamb shoulder with minted spinach, butternut squash & rosemary jus. 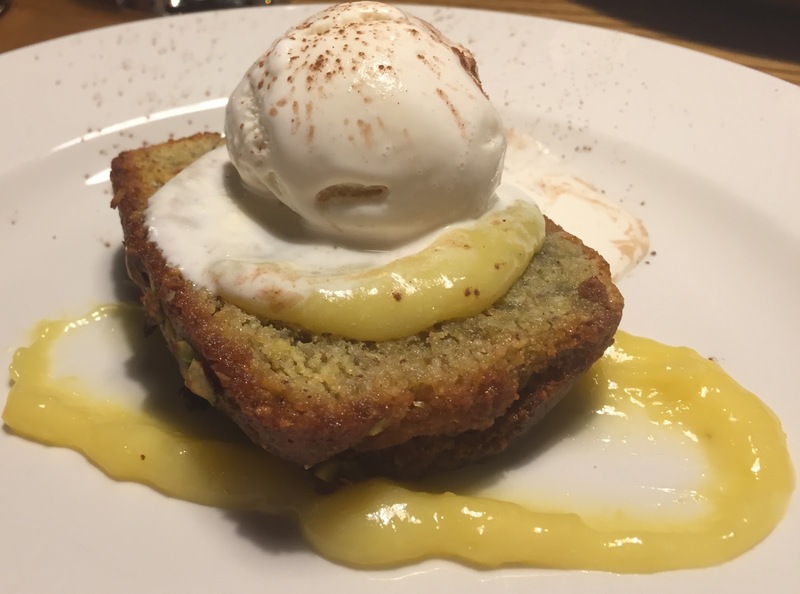 DESSERT: Warm almond, pistachio & lemon loaf with white chocolate ice-cream. MAIN COURSE: Pan-roasted chicken supreme, sweetcorn, chilli & pea risotto with Mrs Middleton’s cold-pressed lemon oil. 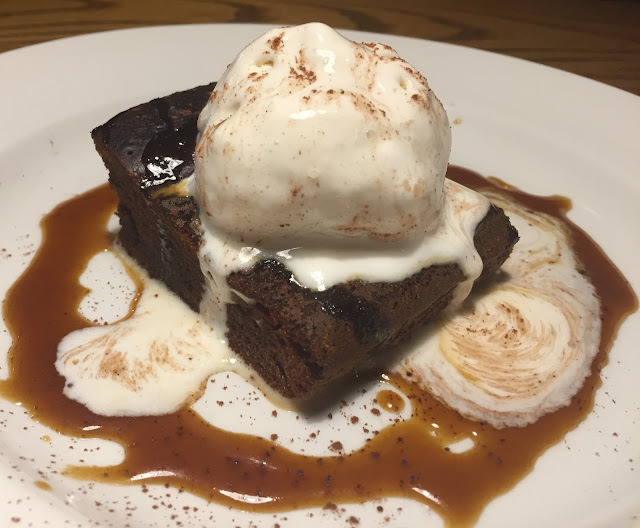 DESSERT: Sticky toffee pudding, toffee sauce & vanilla ice cream. 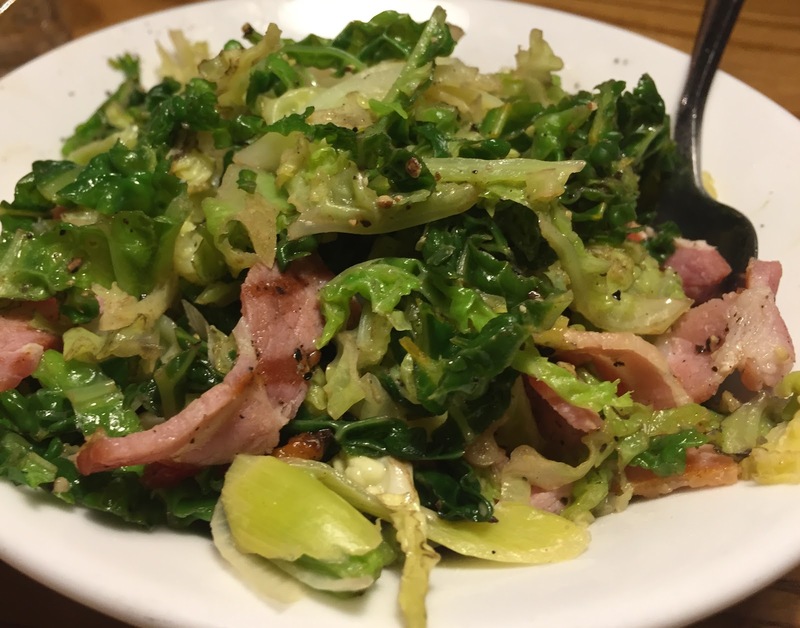 We also ordered a side dish to share with our main course of smoked bacon, cabbage, leeks & peas. 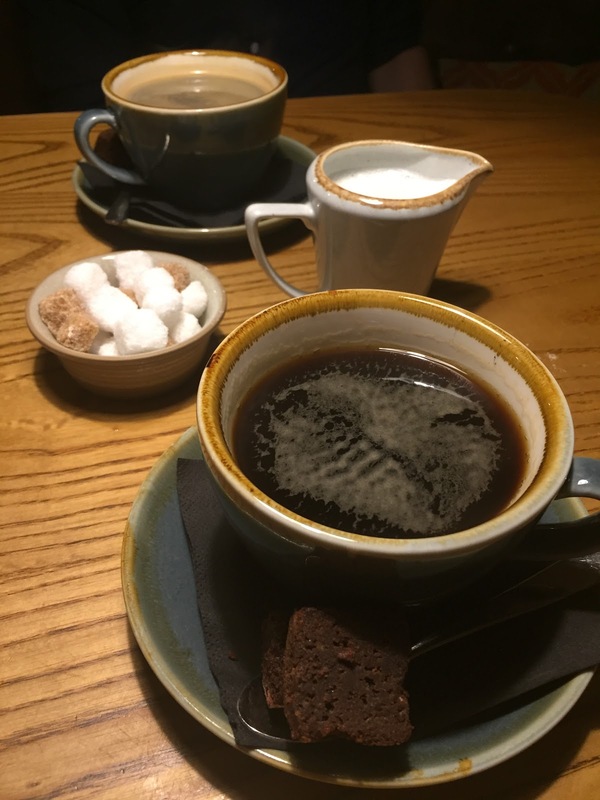 To finish we both enjoyed an Americano coffee, with a little cheeky square of brownie on the side - delicious! I'll share with you the pictures I took of each course and then talk you through what we thought. My starter: cod cheek scampi with potato crisps, pea veloute & tartare salsa. Firstly, the stunning plate and presentation was what caught my eye on this starter - what an absolutely beautifully presented dish it was! 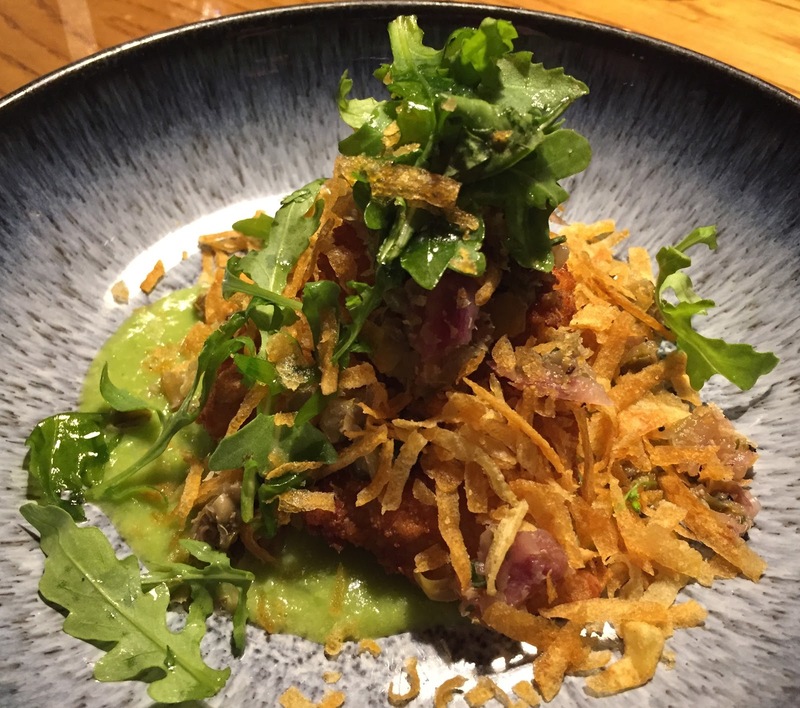 The taste didn't disappoint either - think posh fish and chips; with a tangy tartare salsa, sweet pea veloute and texture added from the crunchy potato crisps and cod cheek scampi. The cod was moist and sweet, and the whole thing was light and fresh - the perfect way to start a meal. My main course was to die for...the lamb melted and fell apart as you cut into it, it was honestly like butter. I loved the richness of the rosemary jus - it had strong echoes of the Sunday lunches I enjoyed growing up. I thought pairing the lamb with minted spinach and butternut squash was brilliant - adding much needed freshness to the rich meat. My main course: Slow-braised lamb shoulder with minted spinach, butternut squash & rosemary jus. The shared side dish was the perfect amount for two - this whole bowl just screamed Christmas to me - there's something about green veggies cooked like this with delicious smoked bacon that is so festive to me. It was the ideal accompaniment to our meat dishes. My dessert was the absolute high-point for me and that's saying something considering how much I enjoyed my starter and main course. Our lovely waitress recommended this dessert to me, saying it was her favourite and was really special and boy was she right, I'm so glad I listened to her. I can honestly say it was hands down the nicest warm sponge I've ever eaten - the almonds and pistachio added a rich nuttiness, the lemon adding zing and flavour, with a gooey, syrupy texture and pudding-y crumb, it was rich, decadent, really filling and basically all I could ever want from a dessert. The generous addition of thick, creamy lemon curd was the genuine icing on the cake - and who wouldn't love a melting scoop of white chocolate ice cream to lift a heavy (but heavenly) end to a meal? I loved the presentation of Liam's starter - it looked so pretty, well balanced and really thought about. There's nothing more disappointing than food that looks like it's been thrown at the plate - no chance of that happening here. His chilli and maple glazed pork belly was beautifully tender, uber rich from the fat of the pork and sweetness of the maple syrup but the chilli kick really helped to cut through that richness. The croquette added texture and a creamy celeriac flavour, and he said the dressed fennel salad was amazing. We laughed at how exciting salads can be if you make a little effort and think outside the box slightly - it doesn't just have to be the (very English) lettuce, cucumber and tomato. Liam's highlight course was his main - I got to try a few mouthfuls too and can corroberate that it was absolutely stunning. The stand-out part was the risotto, with its expected rich and creamy texture, comforting traditional risotto flavours and then an unexpected (but brilliant) sweetness from the sweetcorn and then chilli heat after you've swallowed it. Neither Liam or I had ever tasted a spicy risotto before and we really loved it. The chicken was cooked to perfection on the bone, and the sharp lemon oil finished the dish perfectly - each item on the plate was absolutely necessary and wonderful in its own right. 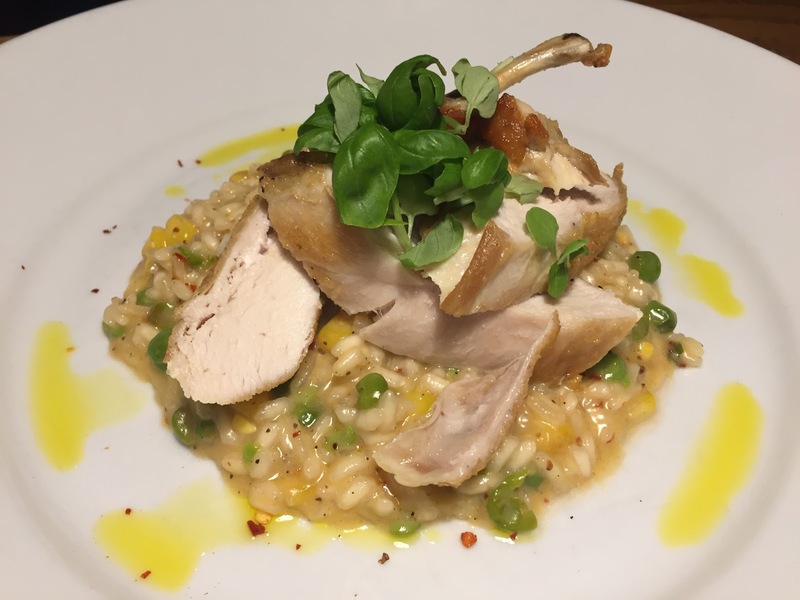 Pan-roasted chicken supreme, sweetcorn, chilli & pea risotto with Mrs Middleton’s cold-pressed lemon oil. He said he couldn't fault the overall flavour of the dessert- the toffee sauce and ice cream were both great, but unfortunately the sponge cake itself was a bit of a let down as it was slightly rubbery in texture and a bit tough. That being said, he ate all of it, the texture being the only criticism. Perhaps he was unlucky and just got the last slice in the dish? Sticky toffee pudding, toffee sauce & vanilla ice cream. 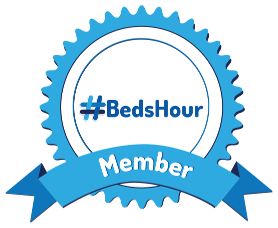 As well as the food being of a really high standard, we cannot fault the service we were shown on Friday night - friendly, smiley, attentive staff who seemed genuinely happy to serve you, to provide opinions and advice, and ensure we had plenty to drink while we waited in between courses. None of the wait times were too long at all and all of our food and drinks orders were taken without a pen/pad and all correctly delivered to our table to the right person -it's details like that which make all the difference for me. Based on our experience on Friday night as well as the copious other successful visits over the years, we will absolutely be heading back to The Park again very soon. We often recommend it to local friends and family as the perfect relaxed dining spot in Bedford, and our experience on Friday night only backs up our previous high opinion of the place. 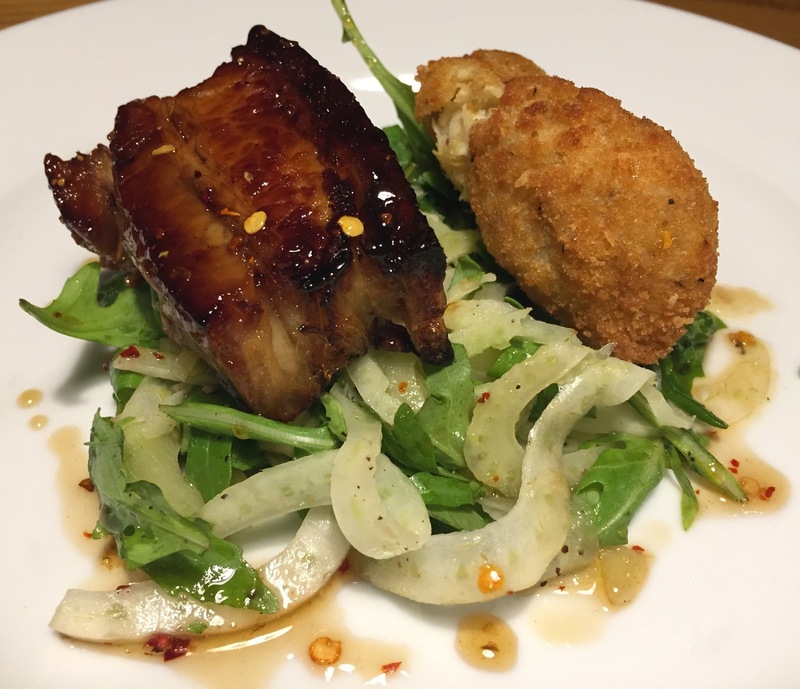 For more about The Park Pub & Kitchen head to their website or follow them on Twitter for updates directly from the pub and kitchen - @parkpubkitchen. What was in our May Degustabox?